Aston Kutcher wasn’t the only thing to impress the crowds at this year’s TechCrunch Disrupt in New York. Reimage enjoyed a lot of attention and interest at the international conference, where it was recently singled out by “The Daily” the latest up-and-coming online news magazine. Disrupt is a conference, organized twice a year, by the popular tech-blog “TechCrunch”. It serves as an opportunity for founders and entrepreneurs from around the world to showcase their startup ideas in front of an all-star panel consisting of the biggest innovators, angels, investors and influencers in the tech world, such as Google CEO, Eric Schmidt. This year, some 30 new startups attended the conference, out of which Reimage was singled out for its potential, along with a handful of others, by The Daily. This popular iPad centric news magazine, tapped the PC repair tool for its potential as a valid solution to “the seemingly endless problems that pop up in the everyday use of Windows”. 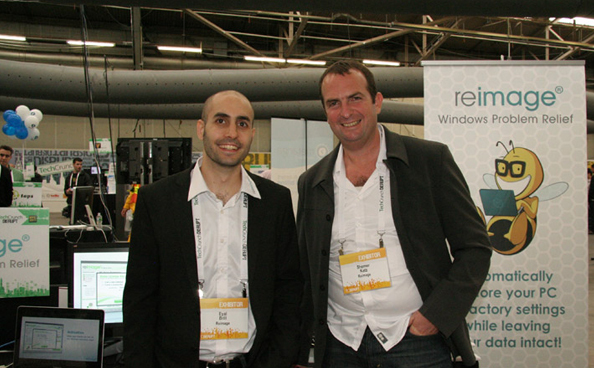 Shemer Katz, the CEO of Reimage, who also attended the conference, explains that what makes Reimage so unique is that it not only finds damaged system files, it also replaces them. Reimage repairs and replaces the broken and corrupted Windows system files that are frequently and easily targeted by malware. Reimage currently has an updated arsenal of some 25 million pristine, certified Windows system files on its servers in order to replace any file, in any version of Windows, still supported by Microsoft. Read the article at The Daily here.